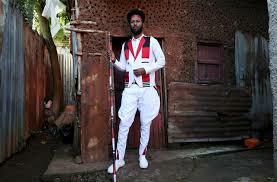 WOLISO, Ethiopia (Reuters) – They were tortured for their political beliefs. They saw friends shot dead by security forces. They were forced to cut their hair and give up other cultural traditions. This year, they say, they caused a revolution. Young men from Ethiopia’s Oromo, the country’s largest ethnic group, proudly declare “we won” when describing their role in the rise of 42-year-old reformer Abiy Ahmed, also an Oromo, to become prime minister. Across the Oromiya region, many of those young men claiming victory now want Abiy to deliver – and fast. The “Qeerroo”, an Oromo term meaning “bachelor” adopted by politically active young men, are demanding answers. Will there be justice for friends who died during strikes and protests over the past three years? Will their rights as Oromos be respected? When will Abiy’s pledges of change help their impoverished communities? Whether Abiy can answer those demands without favoring his home region over the rest of the country will dictate whether the young men remain an asset to him or become a dangerous liability. Before he came to power, the Oromo youths had already demonstrated they could shut down parts of the country with protests and strikes, and that pressure on the ruling EPRDF culminated in the resignation of Abiy’s predecessor in February. Even as they celebrate Abiy, the Oromo youth are still frustrated with life under the EPRDF, a one-time Marxist-Leninist movement which has controlled nearly every aspect of Ethiopians’ lives since seizing power 27 years ago. Frustration has sometimes turned into violence. In September, Oromo youths were reported by Amnesty International to have carried out deadly mob attacks on other ethnic groups near Addis Ababa. Police said 28 died. Elsewhere in Oromiya, young men are starting to challenge the state. They want local officials sacked and have booed them out of rallies. Abiy became prime minister in April after the EPRDF decided reforms were essential for its survival. His appointment was a small step towards breaking the hold of the Tigrayan elite who have controlled the state since they took power in 1991 and founded the EPRDF as a coalition with other ethnic political parties. Abiy announced reforms months ago but these have stalled in part due to a spike in ethnic violence. More than one million people have been forced to flee their homes since Abiy took office. In the most serious violence, Oromo communities have clashed with other groups. Acknowledging a breakdown of the rule of law, the EPRDF said last month: “Anarchy is witnessed in the country.” In a speech to parliament, Abiy said: “Lawlessness is the norm these days. It is something that is testing the government.” He has reshuffled his cabinet and formed a “Ministry of Peace”. Some young Oromos seem emboldened to settle old ethnic scores, said Felix Horne, Ethiopia researcher at Human Rights Watch. “Since Abiy came to power, things have changed,” he said. “The ethno-nationalist narrative is much more dominant than it used to be … a lot of the young Oromos are not willing to take ‘second place’,” Horne said. Abiy’s chief of staff, Fitsum Arega, did not respond to requests for comment. A spokesman for Abiy’s political party said changes were needed at the grassroots. “Anyone who was slapping you, shouting at you, seeing that face may dissatisfy the people. We feel it,” said Taye Dendea, public affairs head for the Oromo Democratic Party. He requested patience from the youths while the ruling coalition implements change. But like many young Oromos, Magarsa Kanaa, a 28-year-old teacher, said he is still very upset at the crimes committed by security forces against his friends. He named one who was shot dead at a protest last year, and said he and other young men “are starting a committee to seek justice for him and other guys”. Proud to be wearing his hair in an Afro, he spoke bitterly of how the government had not allowed Oromos to practice their culture. Men his age, he explained, like to wear their hair in the shape of the “Odaa”, the Oromo word for the sycamore tree that is significant as the site of rituals and meetings to resolve disputes. Activist Jawar Mohammed promotes an “Oromo first” ideology. The 32-year-old with 1.4 million Facebook followers returned to Ethiopia in August from the United States. He told Reuters that although he used social media to coordinate Oromo youths in strikes and protests, he also “built a solid ground network” in every town in the region. Jawar is the movement’s hero. But his “Qeerroo” are disciplined, he said, and will stick to non-violent resistance. At a rally in the town of Kemise, north of the capital, Jawar told thousands of young men chanting “Qeerroo’s Father is here!”: “Obey Abiy. Don’t be emotional in order to help the reforms.” But on social media, his language is often less restrained. Speaking to Reuters, he argued that Ethiopia is experiencing a “promising and terrifying” moment where the “power of the people” is rising and the state’s legitimacy has collapsed. “People power” – particularly from the Oromo – is a strength for Abiy, but rebuilding and controlling the state is an urgent problem, Jawar said. “If (Abiy) doesn’t move quickly to take full control of state power, so that he can use it to answer some of the demands of the youth … these people will turn against him.